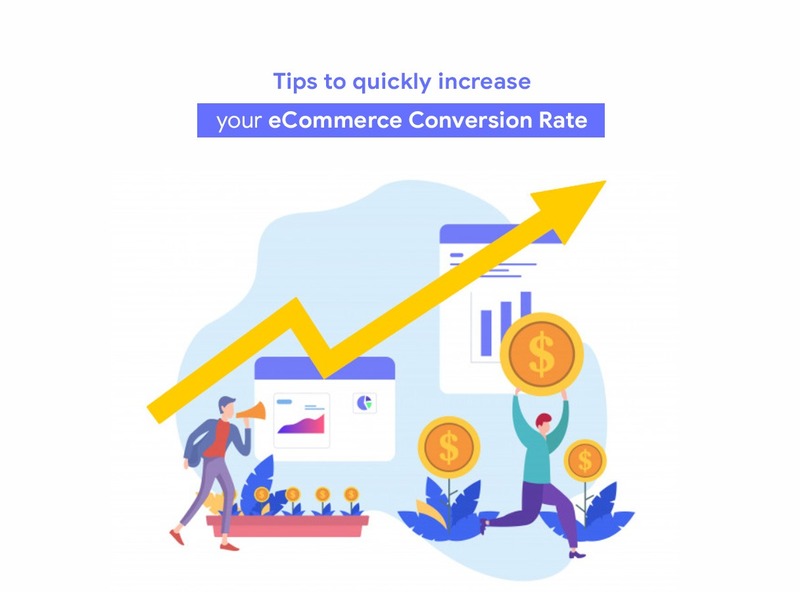 Whether you’re just starting an eCommerce business or you’re already an established online seller, the higher your conversion rates, the better off your business will likely be. It sounds like a dream, doesn’t it? In fact, the vast majority of your site’s visitors are going to leave without doing so; according to SmartInsights, the average conversion rates of eCommerce stores across industries through Q2 2018 was a mere 2.86%. 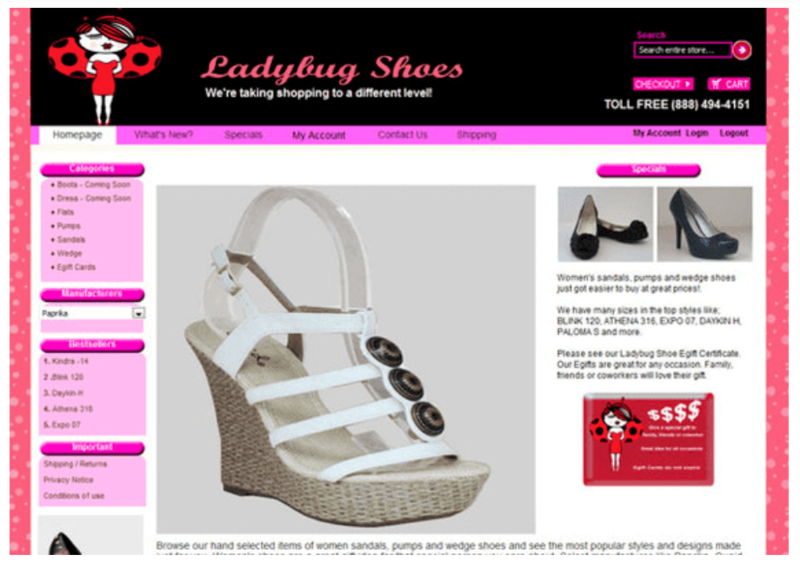 In this article, we’re going to discuss a number of high-level approaches to optimizing your eCommerce website. Therefore, it’s more likely your visitors will end up converting into paying customers. As we go through each tactic, we’ll also provide a variety of examples of brands “doing it right,” as well. However, before we dive into a discussion of these strategies and tips, we need to understand the reasons. Like why an individual might decide to leave your eCommerce site empty-handed in the first place. Not only does having this understanding allow you to anticipate and avoid making these same mistakes. It also proves to you that making these mistakes doesn’t necessarily mean you’ve failed. As long as you understand why you made the mistake, and how to go about fixing it, your business will continue to improve on a daily basis. Today, we’re going to provide some actionable tips and advice regarding what to do to start generating more conversions — even without increasing your visitor numbers. First of all, We want to begin by discussing the more overarching topic of site design in general. 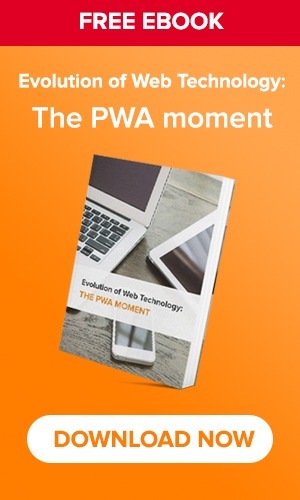 If your site isn’t designed in a manner that keeps your visitors on the page — and moving forward with their transaction — none of the other tactics we’re about to discuss are going to make much of a difference. While we could certainly take a deeper dive into why the first example is just that much more appealing, let’s just say it has a certain je ne sais quoi that the latter clearly does not. Visual persuasiveness, on the other hand, is a little more nuanced. Essentially, the goal is to pull your visitors’ eyes to a certain part of the page — typically the part which will allow them to move a step closer toward converting. While this homepage does provide a number of clickable options, it’s crystal clear what new visitors are “supposed” to do right from the get-go. Now that’s persuasive design. Now, when we say “persuasive,” here, we don’t mean that your copy needs to be too salesy or anything like that. Rather, it all comes down to ensuring your brand’s “voice” shines through every single word on your website. If you walked into a brick-and-mortar retail store that had its products strewn about haphazardly, you almost certainly would turn right around and walk out. If your visitors aren’t able to find what they’re looking for quite literally at the click of a button, they’re going to navigate away to a competitor’s site almost immediately. Using the navigation bar at the top of the screen, visitors are easily able to venture to the intermediary product category page they’re looking for. From there, they’ll be able to dig deeper into the specific products offered within each individual category. Now, this is all well and good for those who are merely browsing your site for products they may like. For those who know exactly what they’re looking for, you need to provide a robust search solution. While there are a number of factors to consider when optimizing your site’s search functionality, your main concern is, of course, in ensuring your visitors are presented with the most relevant products relating to their search term. As we’ll discuss in a bit, this is why your product pages need to be well-put together, complete with vital information presented in a way that matches your customers’ search queries. Essentially, tools for creating and delivering dynamic content allow you to present tailored content, offers, and product recommendations to your visitors. It based on factors such as their demographic and geographic data, their on-site behavior, and their history with your brand. 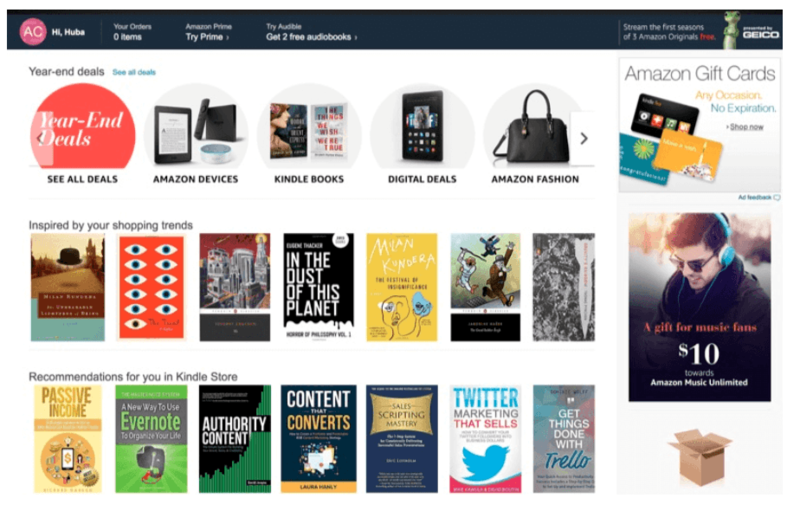 We recently talked about the best tool (AI and machine learning) to create a personalized experience for customers, so check out that post for a much deeper discussion on the topic of using AI and machine learning in eCommerce. In terms of providing pathways for your visitor to choose from, you’ll want to consider the “types” of consumers you typically attract. Essentially, you’ll be pointing them to “collections” of products that relate to each other — but aren’t necessarily in the same product category. Your brand almost certainly has at least some type of presence on the various social media platforms out there, right? Simply advertising and/or creating an organic presence on channels such as Facebook and Instagram aren’t exactly anything new. But more and more eCommerce companies are turning to these channels to actually sell their products directly to their followers. This is an especially lucrative venture if the products you offer fall in line with the type of content that’s typically shared on Instagram. 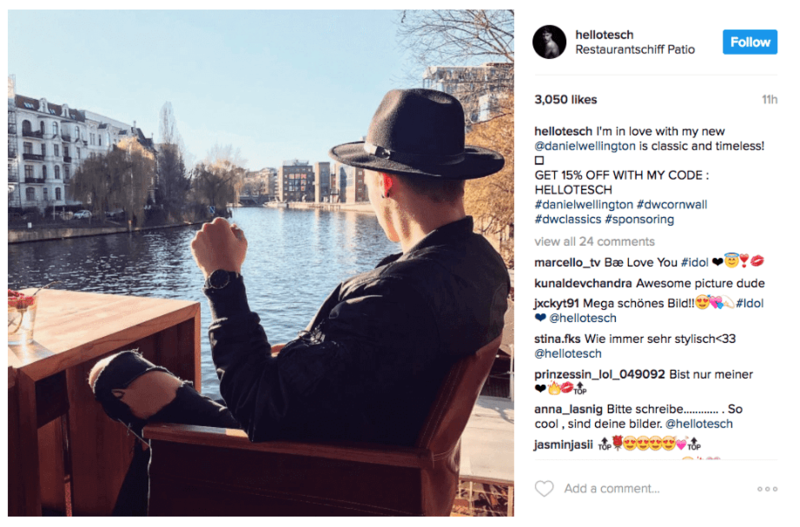 Therefore, if you’re in the clothing, fashion, or culinary industries — or really any industry that relies heavily on visual presentation — you should be looking to make your Instagram profile shoppable. 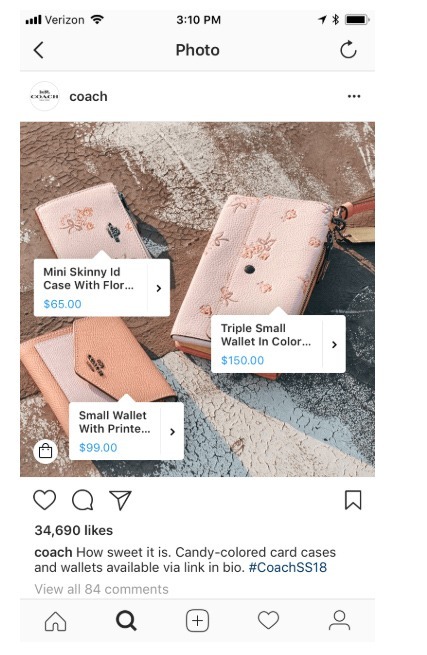 We’ve mentionedShoppable Tags on Instagramas an impressive mCommerce trend in 2019 in an article before. Perhaps the only better than a discount, in the eyes of the consumer, is the ability to customize the discount they’re about to receive. On the other hand, it’s quite disappointing for a consumer when they receive a coupon or offer in their email, load up their virtual shopping cart…and then realize the offer doesn’t apply to their purchases. 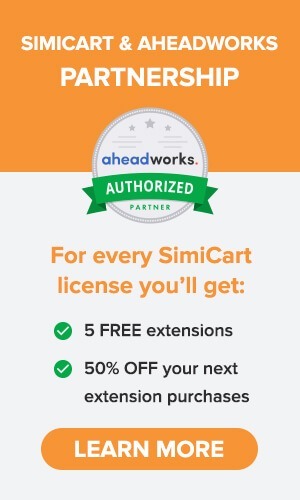 That said, it can be beneficial to provide your customers with at least a bit of control over when and how they use a specific discount offer. Not only does this add a bit of personalization to their experience (as we discussed earlier), but it also incentivizes them to “experiment” — potentially leading them to make additional purchases they hadn’t originally anticipated. Here, Target provides five different ways for its customers to save. The most intriguing, for our purposes, are the sections on REDcard exclusives and Cartwheel deals; in these sections, the loyal Target customer is presented with deals that only those with a membership are privy to. Another prime example comes from office supply retailer Quill. Basically, Quill allows its customers to collect electronic coupons in a virtual “clipboard,” and experiment with different ways to apply them in order to save cash. 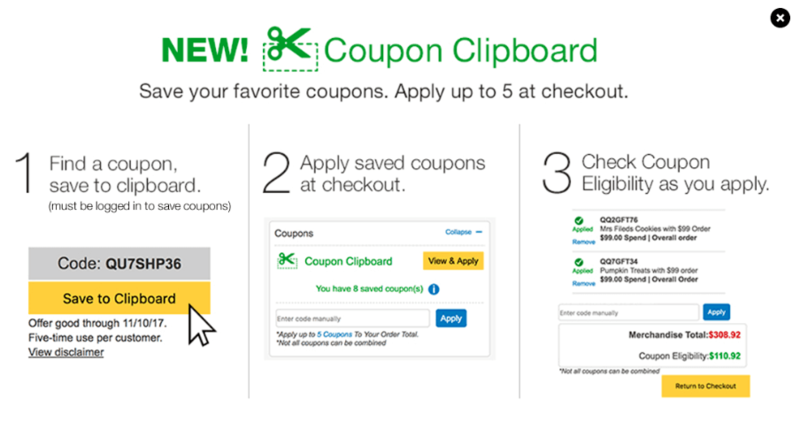 Not only does this put the customer in the driver’s seat in terms of discovering the optimal combination of coupon usage, but it also adds transparency to the process: through its Coupon Clipboard, Quill makes it very easy to tell which coupons can be applied at a given time, so that customers are never caught off-guard and left disappointed. 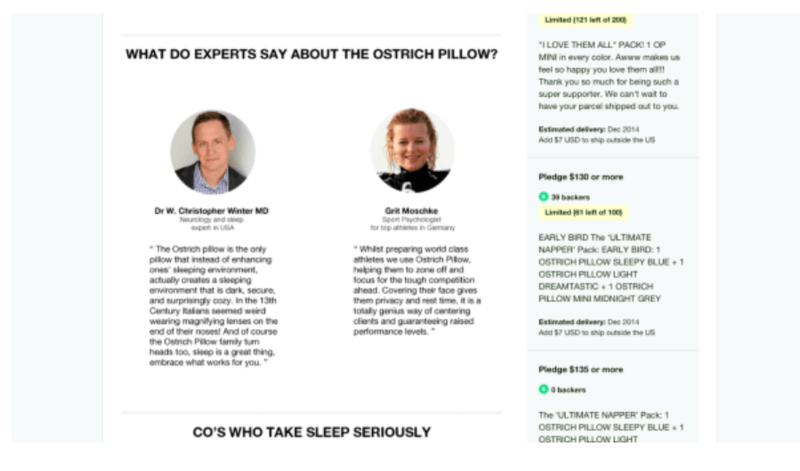 In terms of increasing conversion rates, social proof is huge. According to a study conducted by Nielsen, 84% of consumers trust recommendations from friends, family members, and peers over any other type of marketing or advertising content. Case in point, Consumerist found that 70% of online shoppers check out product reviews before making a purchase. Looking at this from a different perspective, of all the people who go on to make a purchase, 70% of them are impacted by product reviews in some way or another. It’s also worth mentioning that positive social proof typically leads to an increase not just in conversion rate, but also average order value and retention as well. You also don’t want to ignore the propensity of individuals to “go with the herd,” either. That said, simply showcasing your best-selling or hot-ticket items can also act as social proof. It’s like to show the fact that other people are buying it. Scroll back up for a moment and review that chart once more. Back? 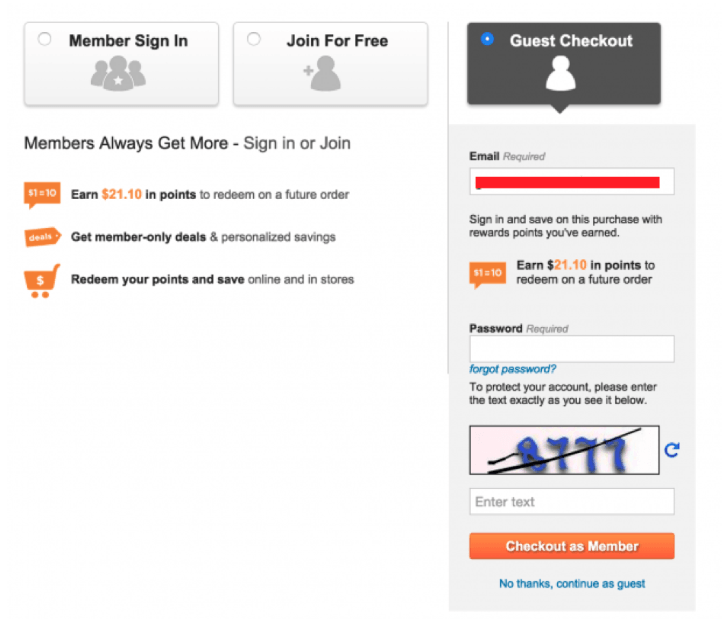 Did you notice the number two reason consumers abandon their carts? You guessed it: The site in question required that they register an account with the company. While, ideally, every single individual who makes a purchase from your site will want to continue doing business with your company in the future, it’s simply not going to happen. Some might simply want to make a single purchase and be on their way; others may be purchasing a gift for their friend, and have no interest in your products themselves; still others just won’t want to receive yet another newsletter in their inbox on a weekly basis. Whatever the case may be, it’s in your best interest to allow those who wish to check out as a guest to simply do so. However, you certainly can — and should — provide multiple chances for them to register with your company, both before and after they’ve made a purchase. When providing these chances, make sure you’re clear about what’s in it for them. As we mentioned in the previous section, the only time you want to add steps to the checkout process is when providing options your customers will appreciate. As you surely know, there are a ton of ways the modern consumer can make an online payment. From PayPal to Apple Pay – and many others – credit cards are no longer the guaranteed mode of payment by today’s standards. That said, you’ll want to look into which payment methods your target audience typically prefers, and be absolutely certain that you’re able to cater to these needs. You’ll also want to provide a number of delivery options to your customers, as well. Typically, your options should offer a trade-off of sorts between price and convenience; that is, you’ll want your customers to be able to pay more for rush delivery, or to receive cheap (or free) shipping in exchange for a longer delivery period. By this point in the process, you’ve all but sealed the deal with your new customer. You don’t want to lose them because they logistically can’t pay for or receive their order. Unfortunately, you’re still going to face instances in which a potential customer fills up their virtual shopping cart…then suddenly navigates away from your site without finalizing their purchase. As we mentioned earlier in this article, there is any number of reasons for a consumer to bounce from your page without making a purchase. Needless to say, a discussion on how to get these individuals back on track toward converting could be an article in and of itself. In an article before, we’ve suggested many effective ways (excluding emails) for you to re-engage abandoned carts. A lost customer is only lost if you let them slip away. But, with the right offer, a one-time cart abandoner could end up becoming a loyal brand fanatic. To wrap up, it’s important to recognize that every eCommerce business is different — as are its customers. That said, there are any number of reasons that your conversion rate might not be as high as you’d like — or as it could potentially be. While the tips we discussed throughout this article should be enough to get you moving in the right direction, you should always be looking for ways to improve your site, as well as your backend processes. To do so, you’ll want to stay in constant contact with your team, as well as with your customers — both those who are happy with the services you provide, and those who aren’t quite as satisfied. Once you’ve pinpointed an issue that may be causing a drop in conversions, take the time to fix it up — while leaving everything else as is. Once you’ve resolved the issue, you can move onto the next area of improvement — and keep on going until you’ve created a well-oiled, conversion-generating machine.